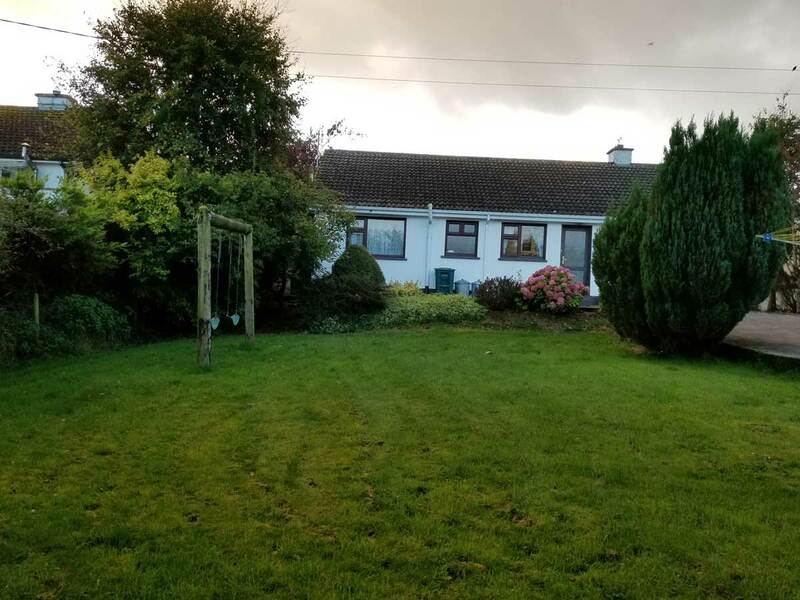 Carra Cottage is a traditional Irish home in a rural setting, quarter of a mile from the picturesque village of Belcarra. 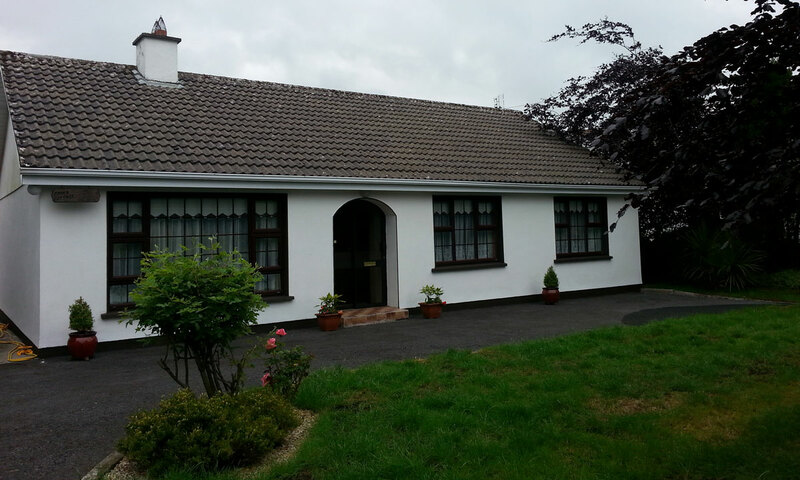 Conveniently located near major wedding venues including Ballintubber Abbey, Breaffy House, Westport and Castlebar Town, it is the ideal housing solution for those looking for wedding accommodations for families and/or small groups of up to six people willing to share three double bedrooms. 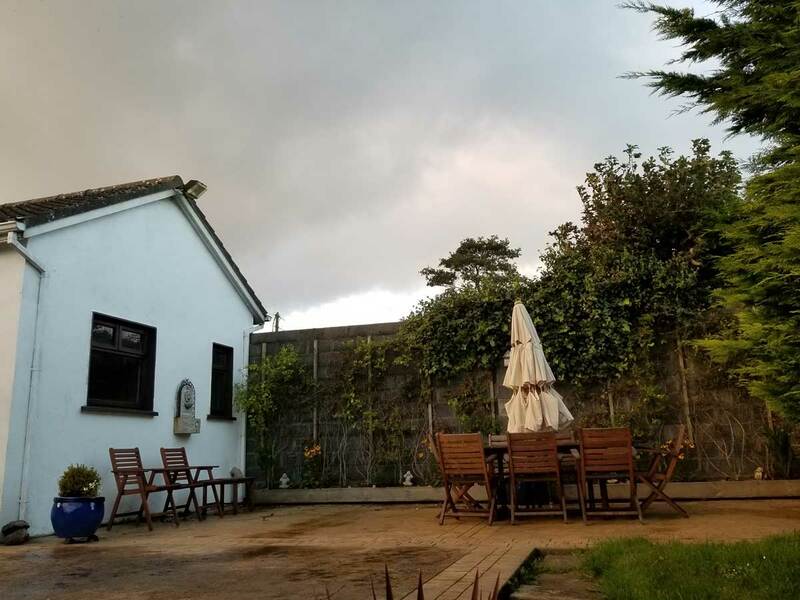 This charming cottage was recently renovated and is located in a delightful pastoral setting with tranquil views over the surrounding countryside. Mayo's Holy Mountain, Croagh Patrick, can be seen from the front of the house and sheep are grazing in the fields across the road, while views to the rear stretch across green fields with horses. 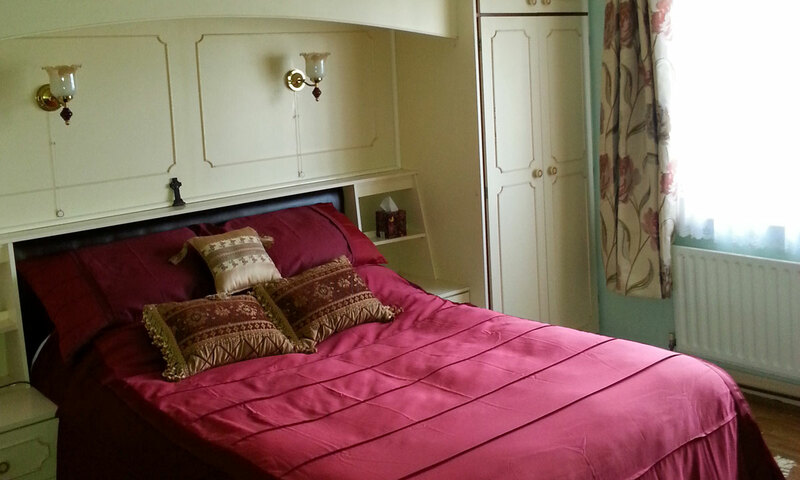 Special 3-4 days weekend rate for this self catering cottage, with all the privacy and comforts of home, of 300 Euro! Book with the owner and get the best rates ! Facilities in the friendly village of Belcarra include a well stocked market and hardware store, family butcher shop, a petrol station, post office, 2 pubs, Catholic church, hairdresser, masseuse and taxi service. 3 double Bedrooms - all with plenty of storage space including a dresser and closet, chair, hair dryer, bedside lamps, extra blanket and electric under blanket. TV in Master bedroom. 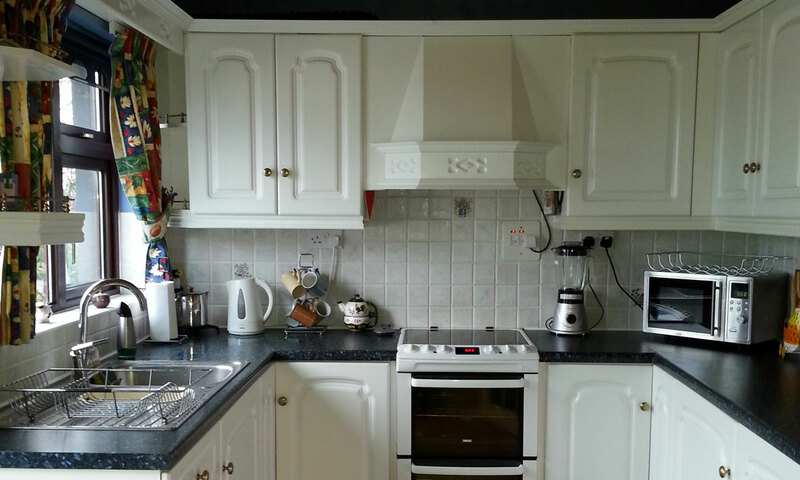 Kitchen - very modern with plenty of pots/pans, cooking utensils, dishes/cutlery and children's dishes & cups. There is a full size refrigerator and freezer, new cooker with fan oven and smaller top oven/grill; microwave, Forman grill, 4 portion sandwich toaster, rice cooker and immersion blender. 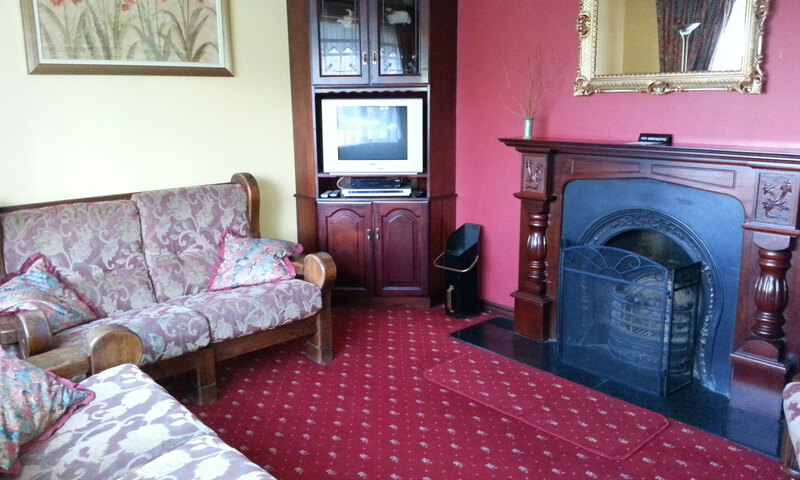 Sitting room with open fire place, TV, DVD player and generous supply of adult and children's DVDs. 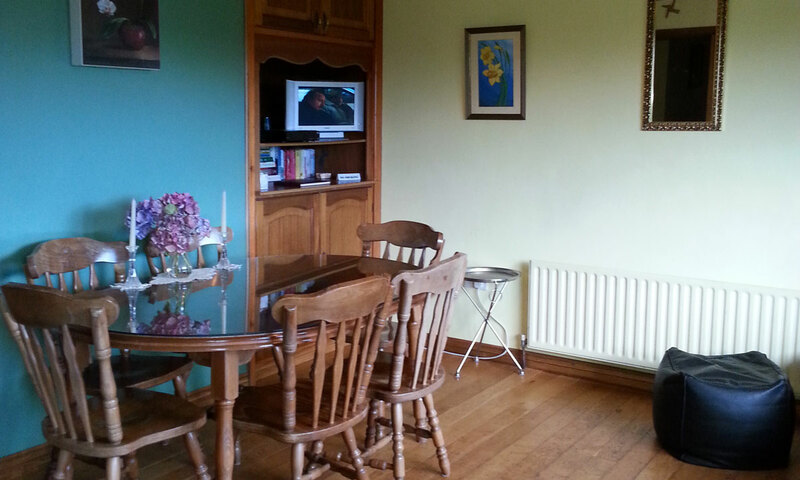 Dining/family room - TV, books for adults and children as well as family and children's games. There is even a soccer ball in the closet. 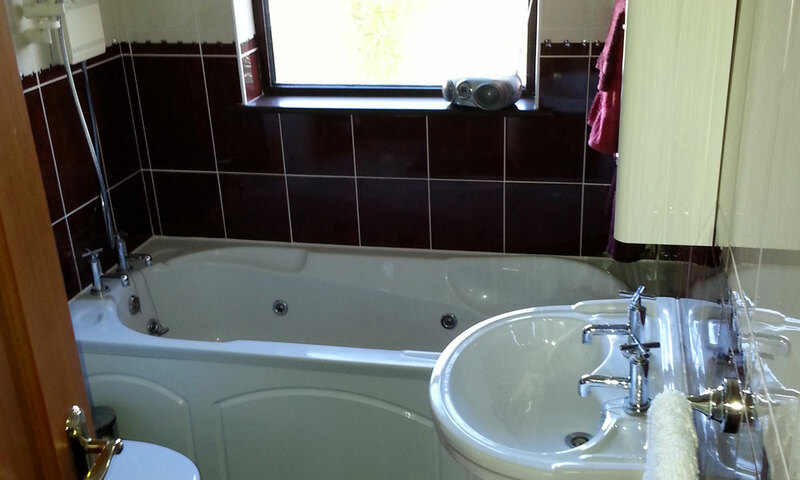 Bathroom - brand new large family bath with a deep 6 foot jetted tub and separate large electric shower. Cot & highchair (child u-3). Wired smoke alarms, carbon monoxide detector, fire extinguisher in the sitting room & kitchen, fire blanket in kitchen. Yellow high visibility vests provided for adults and children for safe walking. 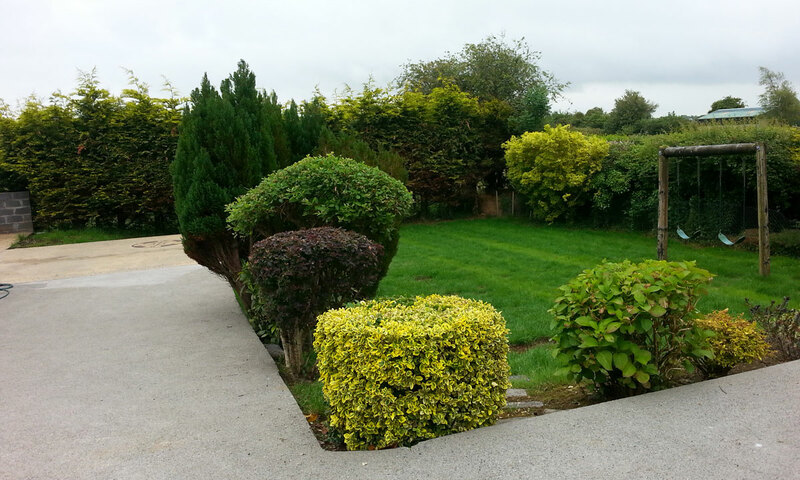 Front and back gardens fully enclosed with plenty space for children to play safely. Children's swings in the back garden. Safety Infant/Toddler swing also available in press. Garage has Utility room with washer & dryer + separate wc & whb room off Utility room. 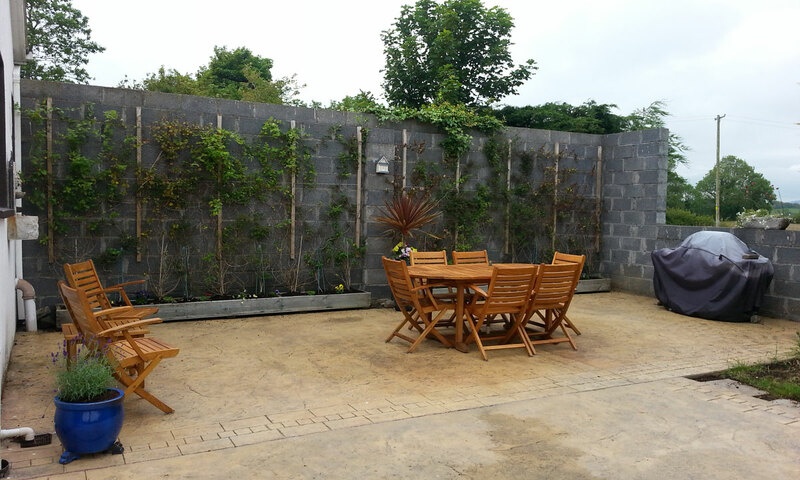 Extra large private patio in back garden with gas BBQ & teak table and chairs. Total occupancy 6 persons - not including infants. A generous electricity allowance of 200 units per week is given. Additional units will be metered and charged at the prevailing rate. Heat/oil is not included in the rate and will be metered and charged at the prevailing rate. A deposit of euro100 will be required in cash prior to check in (with final payment). Guests will remit 25% deposit at time of reservation with balance due 45 days prior to commencement of first day of rental. If reservation is made less than 45 days before first day of rental - total amount of rental plus euro100 deposit will be due at time of reservation. Payment may be made by cash, bank draft or via PayPal (no personal cheques). If notice of cancellation of reservation is received 46 days prior to first day of rental the full deposit will be refunded - if notice of cancellation of reservation is received 45 to 31 days prior to first day of rental 50% of deposit will be refunded. Any notice 30 days or less will result in forfeiture of full deposit.